From the creation all the way to destruction, document management involves the different processes and methods a business will integrate into their daily workflow to organize the lifecycle of various documents and records. Designed to take each step of a document’s life into consideration, document management programs typically include plans for factors ranging from what documents need to be stored and for how long, to how to safely dispose of them once they’re no longer needed. There are numerous strategies you can integrate to create an efficient document management process depending on the size of the office and the type of systems or destruction methods you want to implement, but to give you a better idea of the general flow of document management, here you can find step-by-step outline of how the process works. 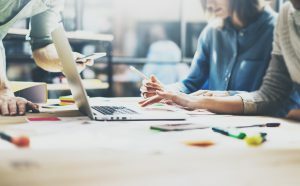 When it comes to document management plans, documents are tracked and managed throughout their lifecycle from the moment of their creation up until their eventual destruction. 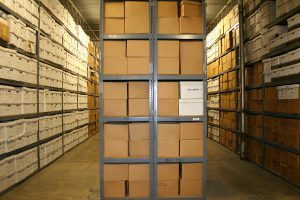 This process begins when businesses take a overall inventory of their document inventories—examining more closely their different documents in order to determine which should be stored and retained for later use, and which documents are no longer necessary for keeping around out of consideration for space or security concerns. Afterwards, companies designate an individual to be responsible for the document management process. Keeping the program organized, the manager for a document management plan ensures document destruction is carried out as scheduled and maintains the management of active files still in use. After conducting a complete evaluation of company documents and information, there are typically a number of various documents and pieces of information which do need to be kept for some period of time, which is why businesses create document retention and destruction policies. A document retention policy contains guidelines for how long different types of documents should be kept and how they should be destroyed, and more importantly can protect a business during litigation and help to ensure compliance with state and federal laws like HIPAA and FACTA. Furthermore, the importance of retention and destruction policies is compounded by the fact that by shredding documents once they pass their useful life, businesses can drive down the cost of storing documents and help minimize their chances for old documents leading to a data breach. With a retention and destruction policy in place, the next question to answer is how to store and manage documents. 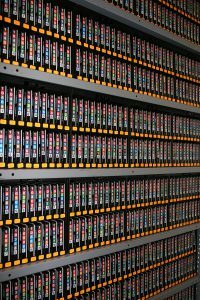 There are a range of different storage options available ranging from hard-copy to digital methods, and in many cases, companies will choose to combine strategies to best optimize their workflow. For some, electronic document management methods and services can be more appealing for their benefits to accessibility and usability. When new documents are ready to be stored, companies can use scanning services to convert the documents to digital formats where they can be managed using cloud storage or an electronic document management system. On the other hand however, some companies choose to maintain hard-copy documents, in which case secure off site records storage facilities are often utilized. Particularly helpful for inactive records needing to be retained for legal or regulatory reasons, off site storage locations help companies to maintain their retention and destruction policies without sacrificing valuable office space. Once the groundwork is laid and the planning is finished, the final component to document management processes is the actual documentation and establishment of the proper program procedures. Document Identification – Does the document need to be retained, or can it be discarded? If it’s no longer needed, the document should be immediately designated for shredding. Document Retention – If there are established retention periods, the documents should be appropriately stored either using an electronic document management system or as hard-copy. Consider document risk evaluations—will digital storage provide effective security, or is an off site facility a better option for protecting inactive files? Disaster Recovery – In the event of flood, fire, or other environmental damage, plans must be made so the company can quickly recover. With electronic document management options this entails data backup implementations, while for hard-copy storage, off site locations provide locked and climate-controlled facilities to meet this need. Document Destruction – When documents don’t need to be kept or they’re past their retention period, the final step is secure document destruction. To keep up with destruction schedules most companies work with ongoing shredding service providers to either destroy documents on site or at a secure facility, and when electronics are used hard drive shredding and electronic media destruction services can also be implemented. Creating or Revising a Document Management Plan? Get Free Quotes on Shredding, Scanning, or Storage Services Today! From creation all the way to the moment of destruction, documents and records should be carefully tracked and managed in order to both ensure the sensitive information they contain is kept secure and keep your business running smoothly. At Shred Nations however, we partner with a nationwide network of local providers for a number of document management services ranging from document shredding and destruction to records storage and scanning—helping to provide businesses the tools you need to build an effective document management plan. For more information on any of our available services or to get a list of free quotes on document management services from providers in your area, simply fill out the form at the right of your screen or just give us a call at (800) 747-3365 today! One of the most important pieces to a solid document management plan revolves around a well-established document retention and destruction policy. This article helps to provide more information on the general retention guidelines for different documents and the considerations to take in mind while archiving and shredding documents.